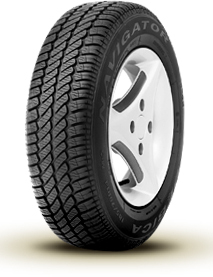 The Navigator 2 is an all season tyre perfect for drivers who value safe and fuel-efficient driving both summer and winter conditions. The Navigator 2 offers exceptional handling on wet and dry roads and is constructed with innovative ?S? shaped lateral grooves which evacuate water effectively. This greatly reduces the risk of aquaplaning.